The Wildlife Society, Student Chapter at the UW is a student organization serving the UW community by providing activities and events that focus on wildlife issues. It is our hope that this site will serve not only to disseminate information regarding the activities of the club, but also as a point of reference for those students considering the environmental science and resource management program at the UW. Please check out all of our events at the events/calendar link above and then click on each event for more information. 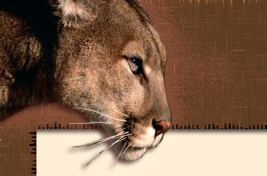 We have also included UW events of interest concerning wildlife that you may want to attend. How to join: We now have NEW Wildlife Society membership applications! You can download them (HERE), print them or pick one up in Anderson 116. You can turn in the application and membership fee ($20/year $10/quarter) to any club event, to Anderson 116 (to the right of the computer) or via mail at UW box 352100 Seattle, WA 98105-2100. Remember that you don't have to be a UW Student to join. Already a member? Fill one out anyway to help us get to know you better. The application also provides opportunities for you to sign on to get more involved in club. Want to be come a National Member of the Wildlife Society? It costs only an additional $17 ($37 total for Students) and you will receive a bimonthly newsletter The Wildlifer. You will also receive our new full color magazine, called the Wildlife Professional. Also, as a national member, you can sign up for the TWS list serve, as well as post jobs online for either a free or reduced rate. And, you'll have the option of receiving our publications, the Journal of Wildlife Management and the Wildlife Society Bulletin. If you need any help filling out your application or have questions, please email us. To print out the national membership application, download the PDF. Applications are also available in Anderson 116. You can turn in the application and membership fee to any club event, to Anderson 116 (to the right of the computer) or via mail at UW box 352100 Seattle, WA 98105-2100.